The chalet Abendruh offers comfortable accommodation with private facilities in all rooms. The cosy dining room with bar allows you to chat with other guests about your day's skiing and relax for the whole evening. 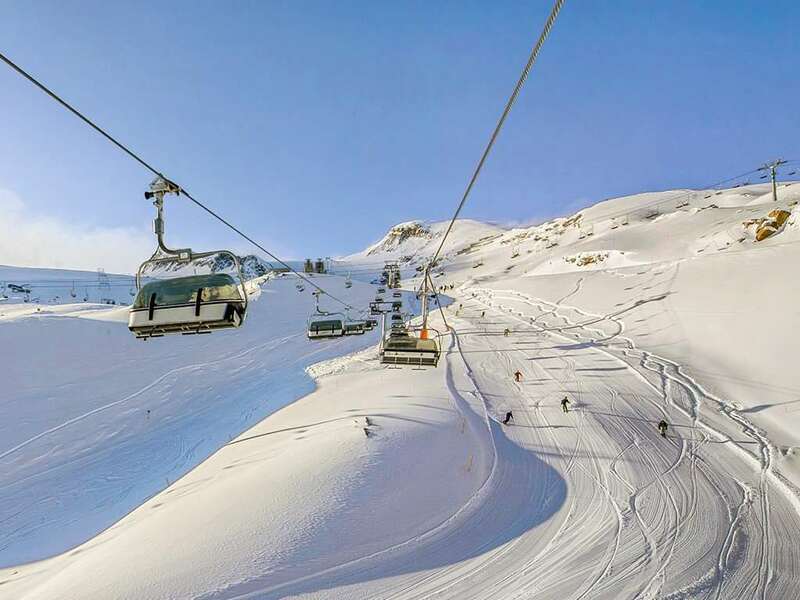 Situated above the resort centre, the ski bus to the local lifts and to the glacier stops below the chalet. Alternatively you can walk down to the local lifts. Chalet Abendruh - Sleep 16-20 (room numbers shown in brackets): All bedrooms comfortably furnished with en suite shower, WC, TV and many with balcony. First floor: The non-smoking pine stube, living/dining-room with bar, WC, a quad room (twin plus pull-out sofa bed) with balcony, en suite shower and WC (1), 2 connected double bed rooms with shared en suite shower and WC (2). Second floor: Quad room with twin plus pull-out sofa bed,bacony,en suit shower and WC (3). Two twin rooms with en suite shower and WC (4&7).Two twins with en suit shower, WC and bacony (5&6). Please note: The chalet has no lift; All beds are suitable for adults. staff live in A cot will fit in rooms 1 and 3 when at full occupancy.